Summer is coming to a close, but the great offers on New Scions at Heiser Toyota Scion just keep getting better. Celebrate your Labor Day early with no monthly payments for 90 days on ALL 2013, 2014, and 2015 new Scions in stock. And, we’ve re-pure priced every new Scion in stock for an EVEN BETTER VALUE! With savings like these, there’s no reason for end of summer blues. Hurry in to Heiser Toyota Scion today and you’ll become a member of our VIP CLUB and experience award-winning customer service! 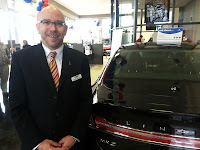 We look forward to welcoming you to our dealership.